Gatsby Hats are very popular and you can even see many celebrities wearing them to complete their outfit. 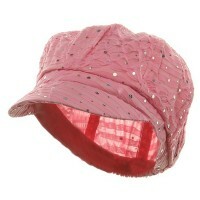 They are Stylish Hats that can be worn by anyone thus whether you are a man, woman, or teen. 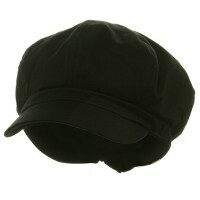 Newsboy and Ivy Hats are great for your wardrobe. Newsboy and Gatsby hats became popular during the 1920s. Gatsby hats were often worn by men during warm summers as they are made from breathable fabric like cotton, tweed, and corduroy. 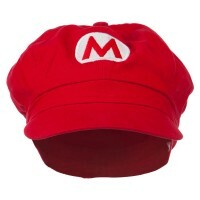 These hats are worn by men from all walks of life. In fact, these hats derived their names from boys selling newspapers on street corners. But aside from newspaper boys, the Gatsby Hats are also a favorite headwear for the working class. The innovation of the design of the newsboy and Gatsby hats made them popular among the affluent. During the middle of the 19th century, newsboy and Gatsby hats became one of the most popular sporting apparels for those who belonged in the upper tier of society. It became a popular hat for auto drivers because they don’t need to take it off while driving and that the absence of a stiff crown meant that the hat will not bump on the car roof. Dubbed as the most timeless piece of hat any American could ever wear, Gatsby Hats were the rage decades ago and even now. They not only provide protection against weather elements but they are mostly show pieces that work well with any outfit. You can never go wrong with the classic Gatsby Hats. The Steampunk Herringbone Gatsby Hats looks similar with the Ivy Caps worn by steam engine drivers during the turn of the 19th century. Although they look old, they are timeless and you can pair them with different types of clothes from jeans and tees to a tux. It is crucial to take note that Gatsby Hats are not only intended for men. There are designs intended for the ladies. The Flower Crochet Ivy Caps looks very elegant and classy with its floral accent. Since it is crocheted, it allows more air circulation on your head thereby keeping you cool at all times. Now if it is whimsical Gatsby Hats you need, you can always opt for the Animal Print Apple, 8 Quarter Hats that looks very heavy yet can provide a lot of warmth during cold weather.